Not really that much, but look at the top damage. I saw 1.9 million damage once from a Lock, but…wow. 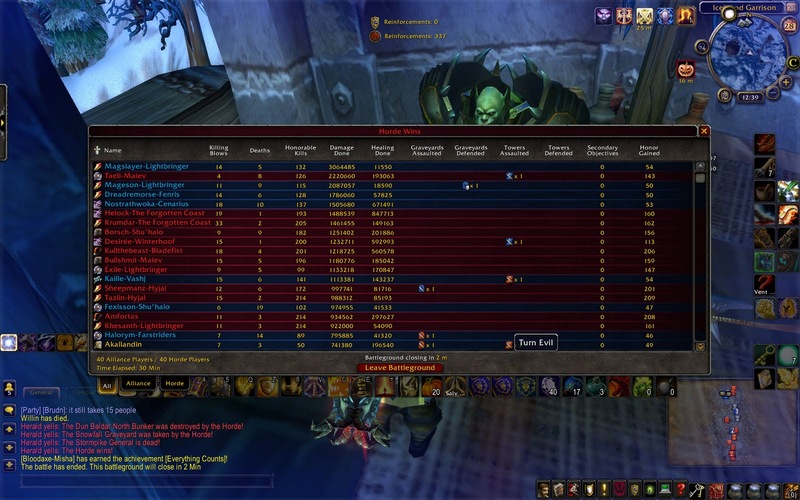 The Horde forced the turtle, but it looks like Alliance gets the bragging rights. Just…wow. Next story Rally in Stormwind!